Flying Nest is a new modular nomadic hotel concept that aims to provide rooms at temporary events. It also responds to the rising trend of travelers looking for exclusive and authentic experiences. 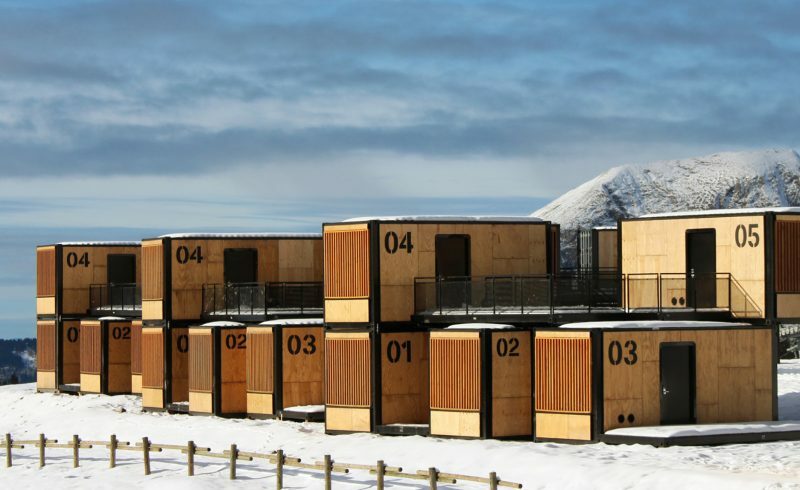 The Flying Nest hotel consists of multiple modular clusters with separate guest rooms. 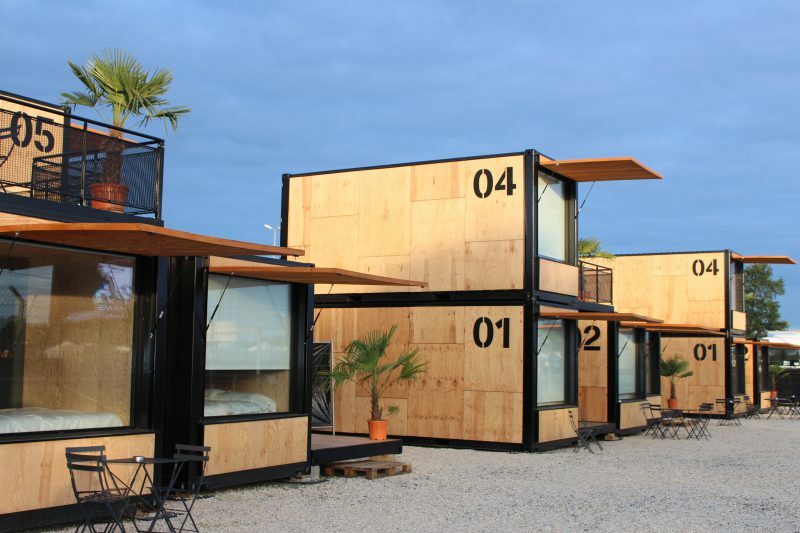 One cluster consists of six 12 square meters of container space which includes 5 guest rooms that are interconnected through terraces. Their interconnectedness encourages interaction between guests. 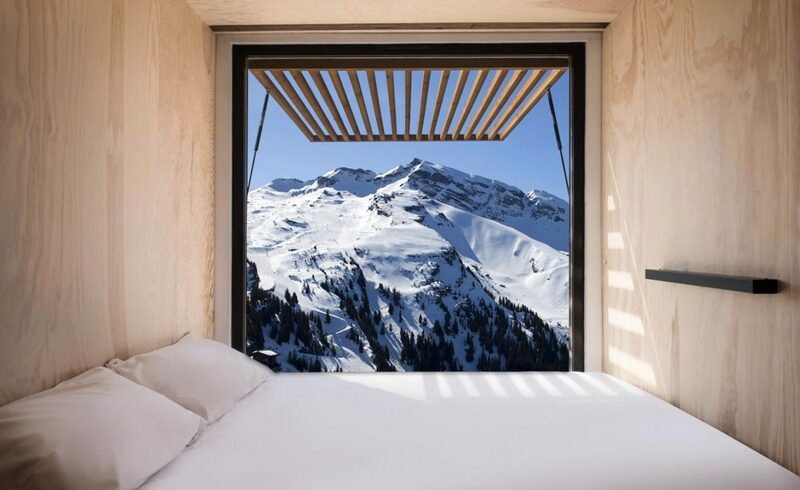 A large window is also incorporated into every bedroom space to provide visitors with the best views. Launched by French multinational hospitality company AccorHotels, Flying Nest is supposed to help host visitors of big entertainment and sports events in locations where conventional hotel accommodation is lacking. The units are designed to be self-sufficient and are realized with eco-friendly wood and paint. They are quipped with LED lighting and the modules operate using green energy and grey water recovery. While the wooden design brings a feeling of warmth and comfort, the construction ensures ease of transportation and construction. One of the first pre-launch stops of Flying Nest was at the 24 Hours of Le Mans car race in France. 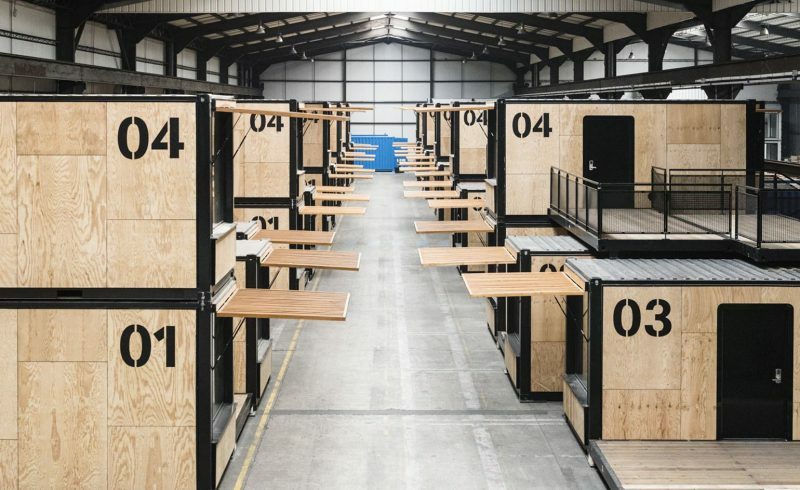 Containers with 25 rooms were installed just 6 meters behind the race track within 20 hours. 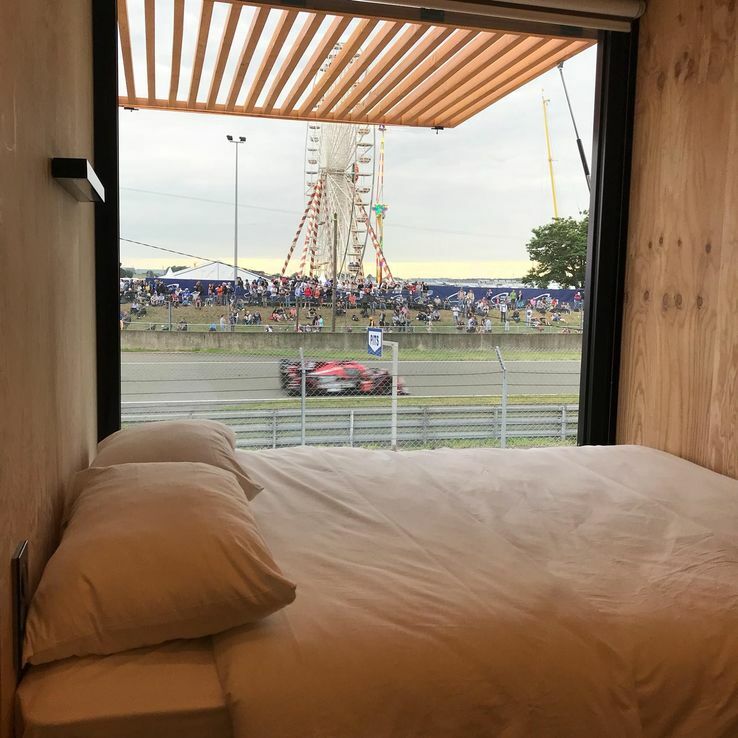 Guests were able to be in their bedroom and watch the race through their windows. A follow-up cocktail party was held on the terrace. Flying Nest became the prime spot to enjoy the race. After that, Flying Nest moved to the heart of Rencontres d’Arles photography festival where 15 containers were implanted in the middle of different exhibitions. The experience was once again enhanced with DJ sets, accompanied by food trucks and 25 tons of artificial sand beach. AccorHotels envision the concept to develop on the basis of business to business operation with potential clients ranging from influencers and event organizers to businesses focusing on their brand image and VIP clients. Flying Nest is set to provide a unique opportunity to be immersed in events and landscapes. Whether it is in a remote natural location and a client seeks a sustainable retreat, or it’s an artificially created beach party in the middle of the city, the concept is fluid enough to satisfy a wide range of extravagant demands. Move over shipping containers: modular housing just got stackable! The Reaction Housing System was recently unveiled as a new solution for emergency architecture. The houses are small units referred to as Exos, and are designed to host up to four people each. The simple design manages to incorporate all of the necessary elements for a home: sewage, lighting, water, and climate control, all within a compact space. A group of designers from Belgium have presented a new solution for festival lovers to spend the night in a comfortable and relaxed way. Their modular B-AND-BEE sleeping cells are a cross-over between a Japanese capsule hotel and a campsite. Dutch architecture firm Kraaijvanger comes up with a modular and demountable system that turns empty buildings into homes in a few days.